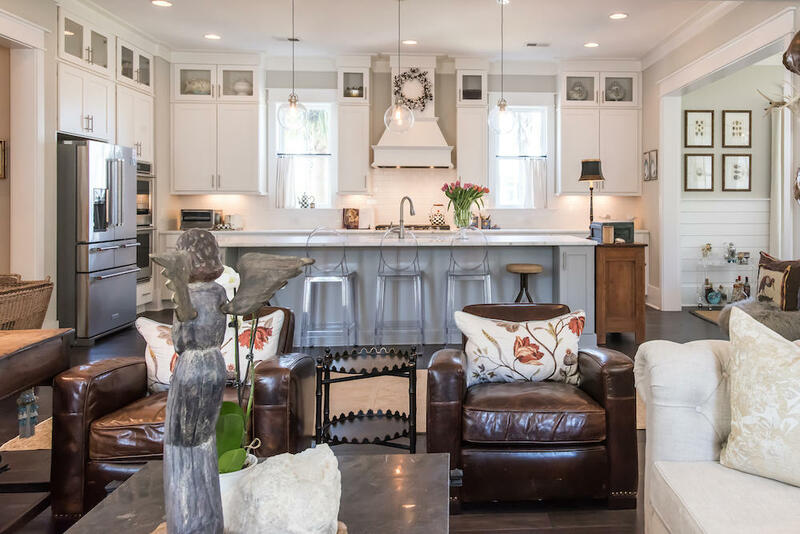 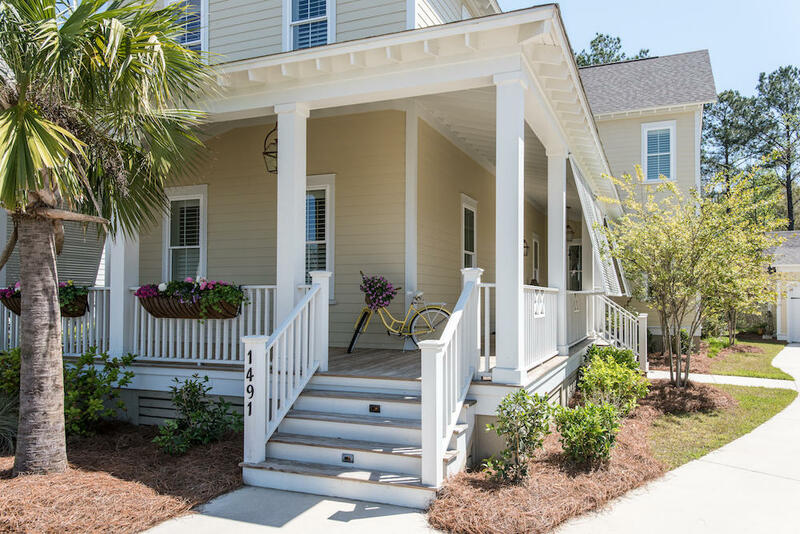 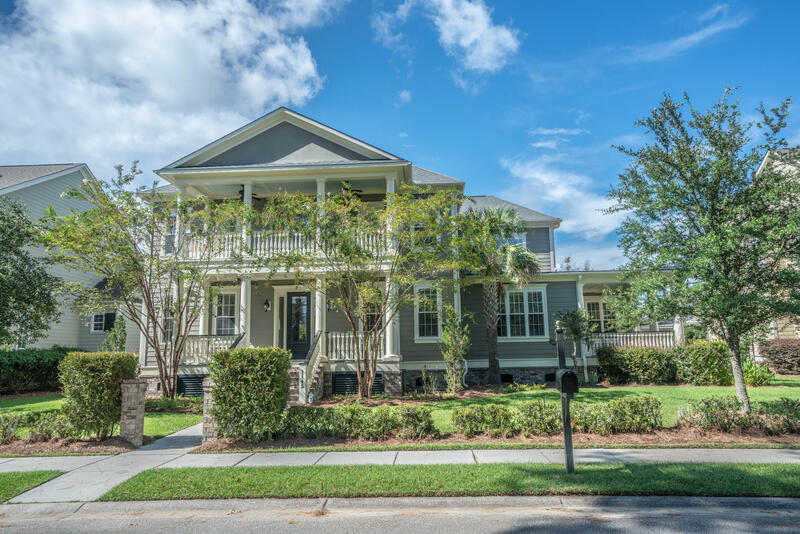 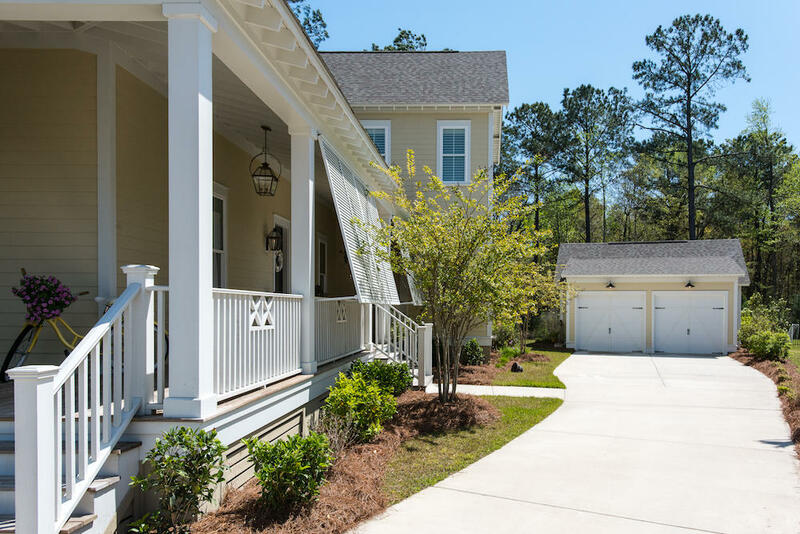 Stunning home in the exclusive Riverside section of Carolina Park, like new, with designer upgrades not found in new construction homes. 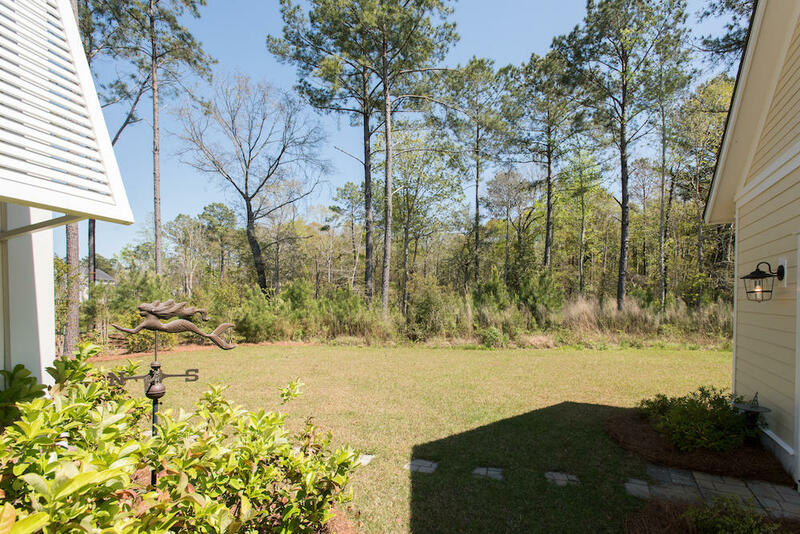 Situated on a 1/3 acre private lot backing up to wetlands, this 3,300 sq. 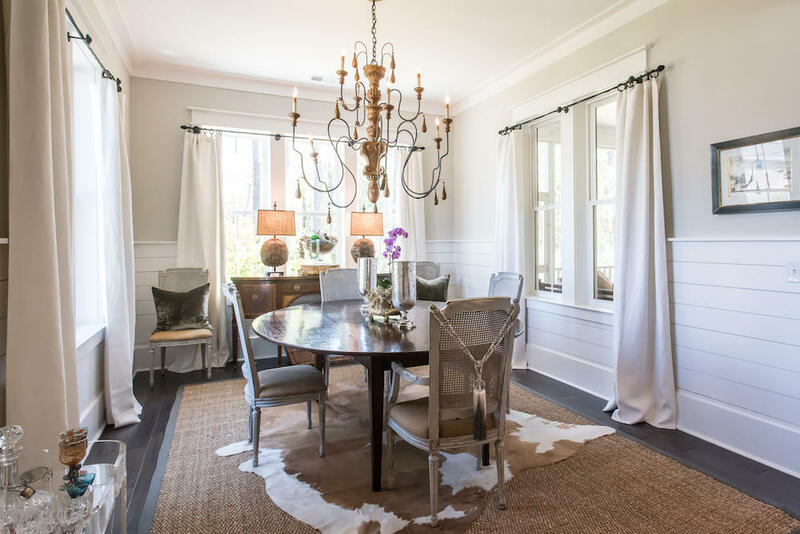 ft. home offers sophisticated elegance for the most discriminating of buyers. 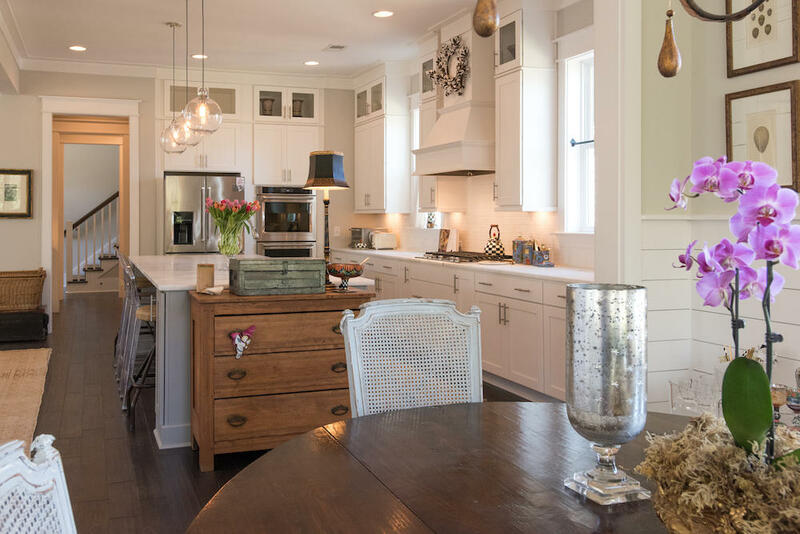 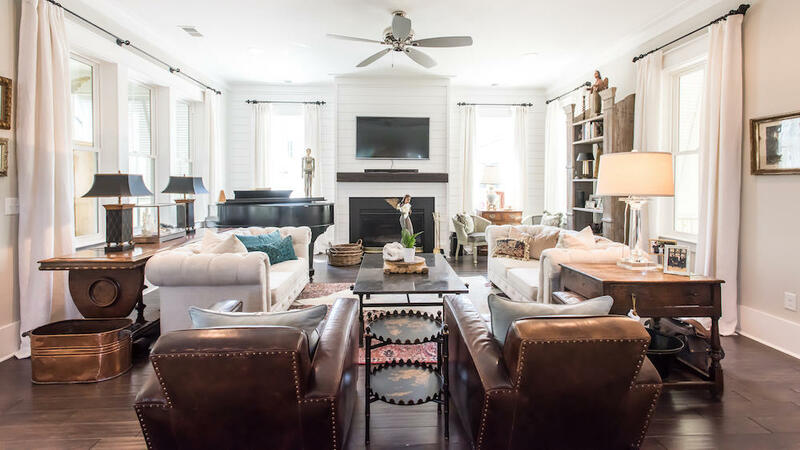 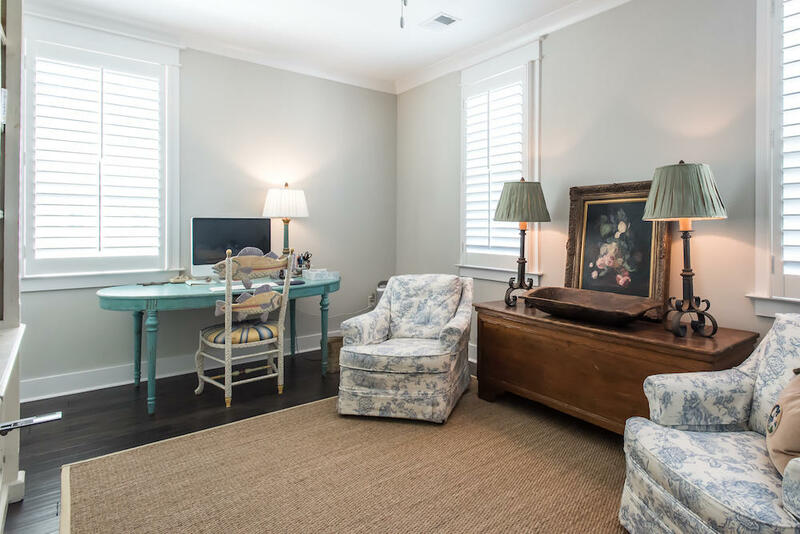 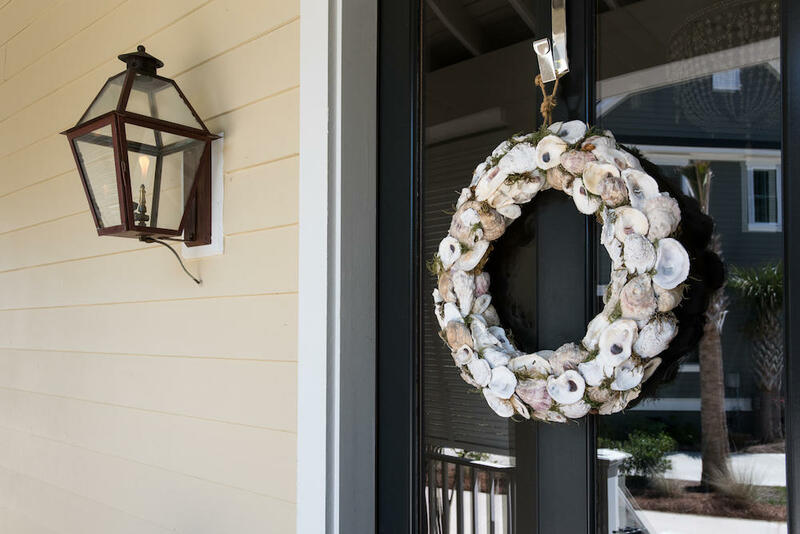 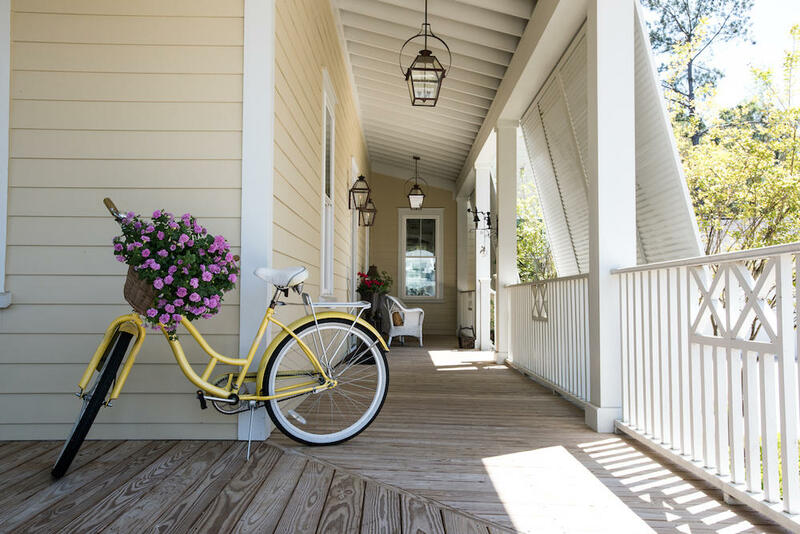 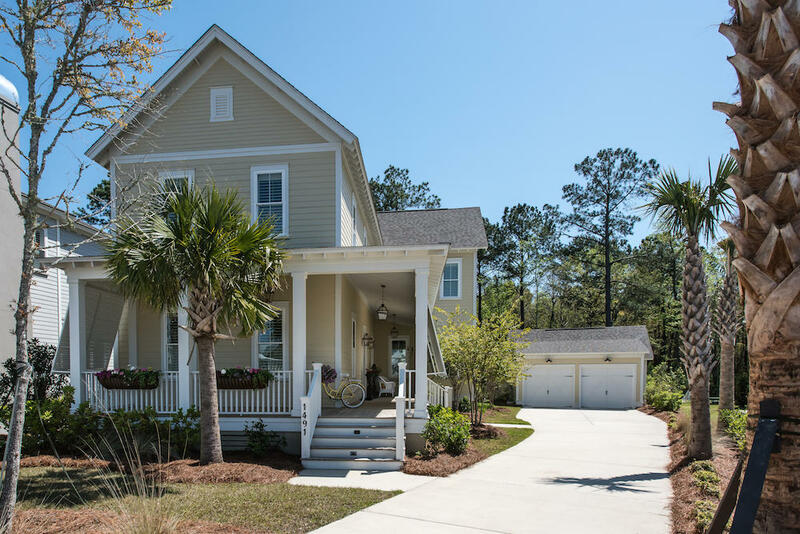 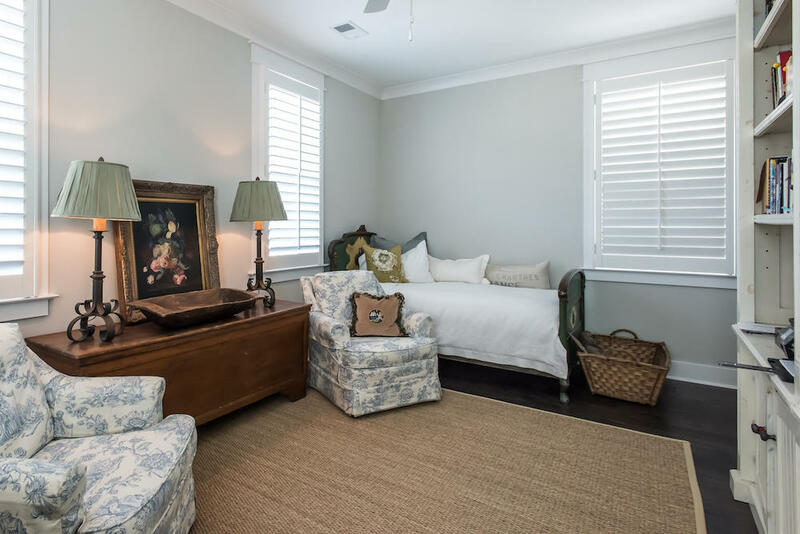 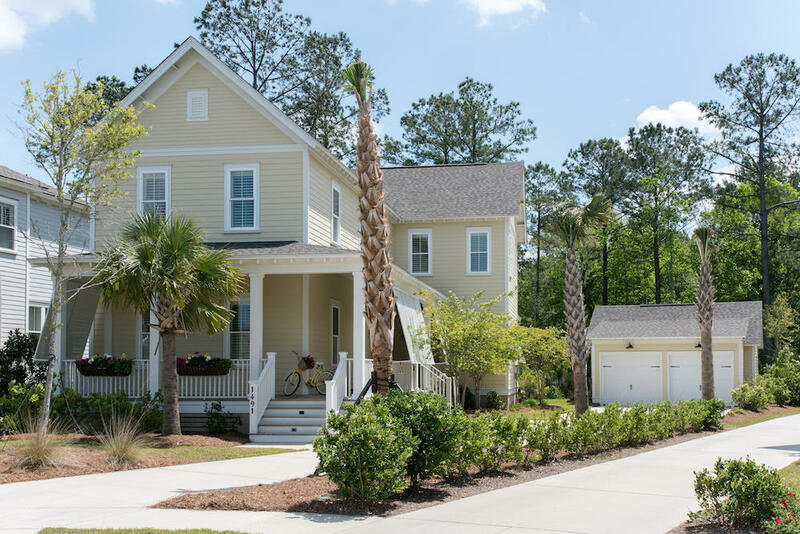 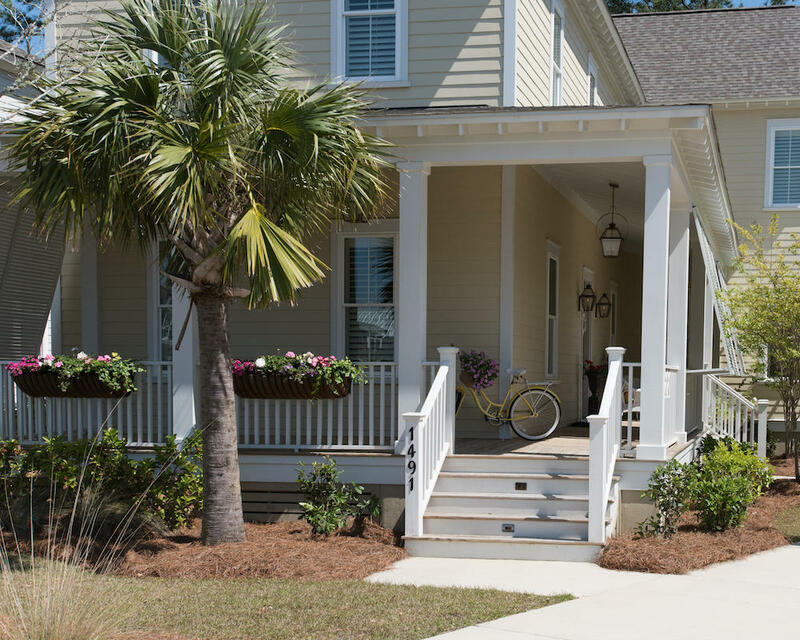 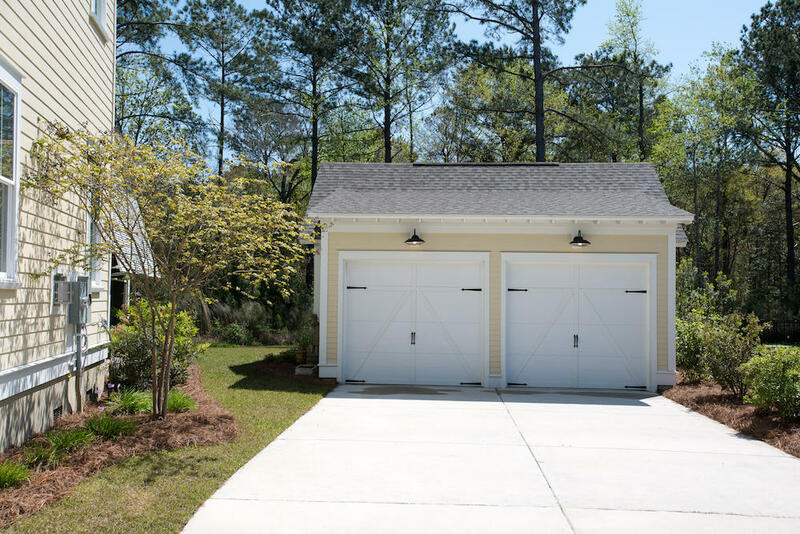 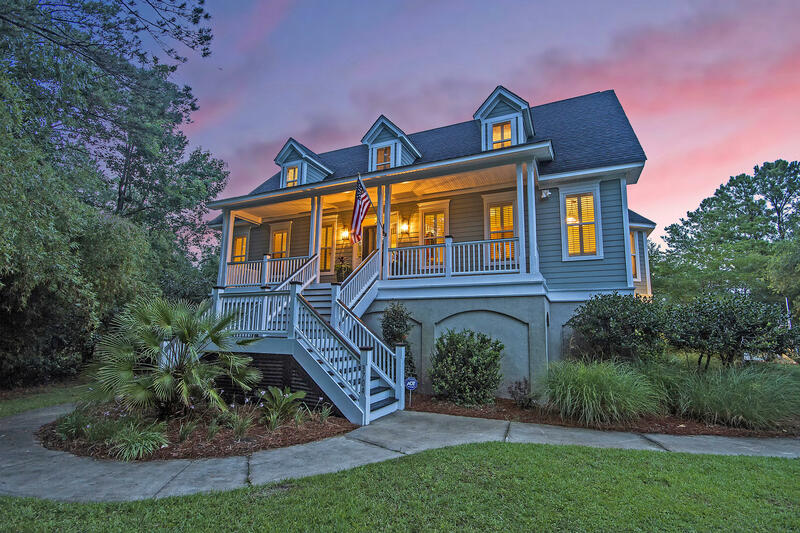 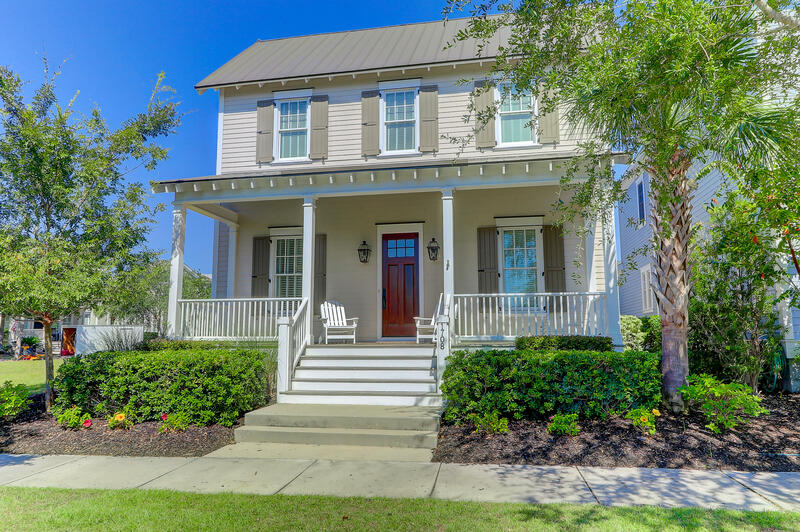 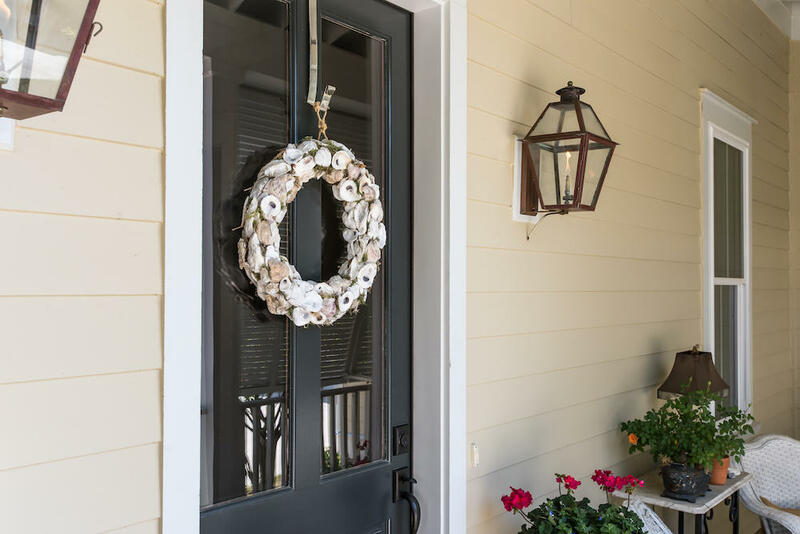 From the charming wrap-around porch with open rafters and Bahamian shutters, enter the foyer and you will be greeted with 10' ceilings, 8' tall doors, 10'' baseboards, plantation shutters throughout and shiplap walls. 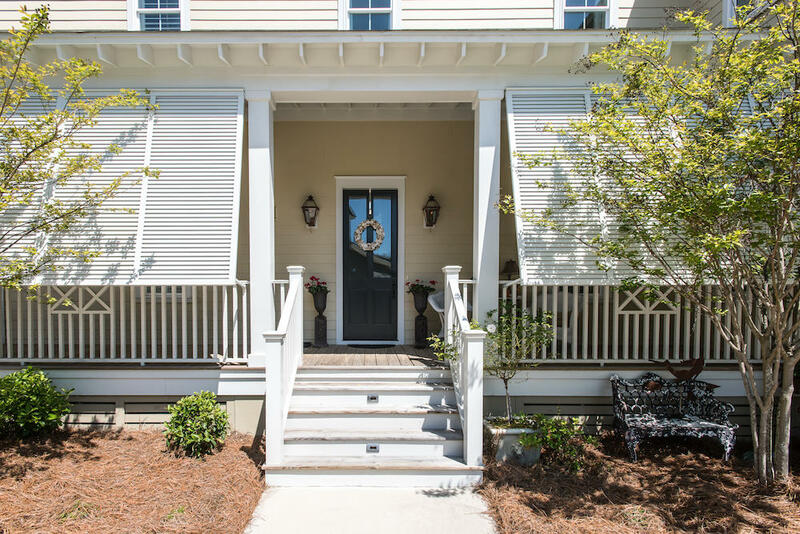 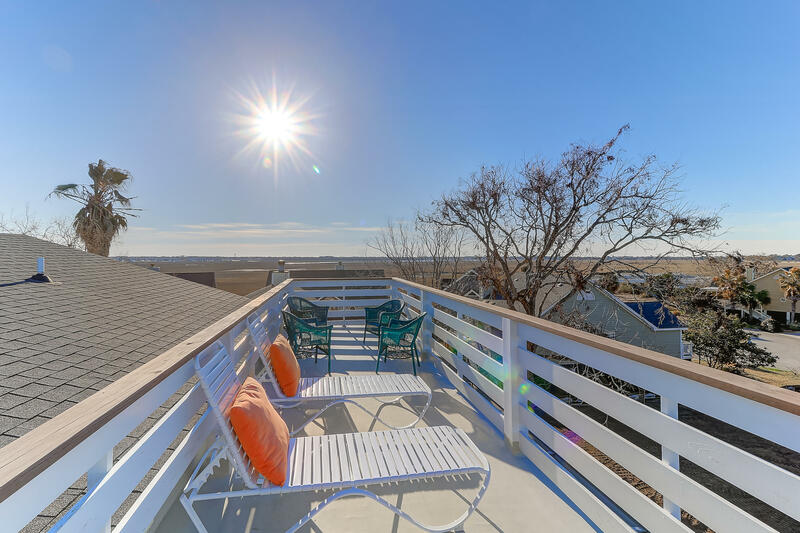 With 4 bedrooms, 4.5 baths, including a guest bedroom and bath on the first floor, this home is light and bright and ideal for either the empty nester or growing family. 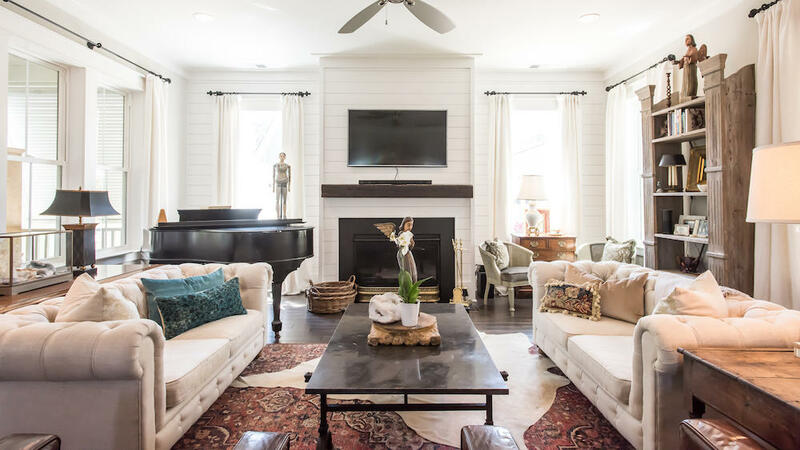 The gracious family room is flooded with natural light and features a Heatilator natural gas fireplace with slate hearth. 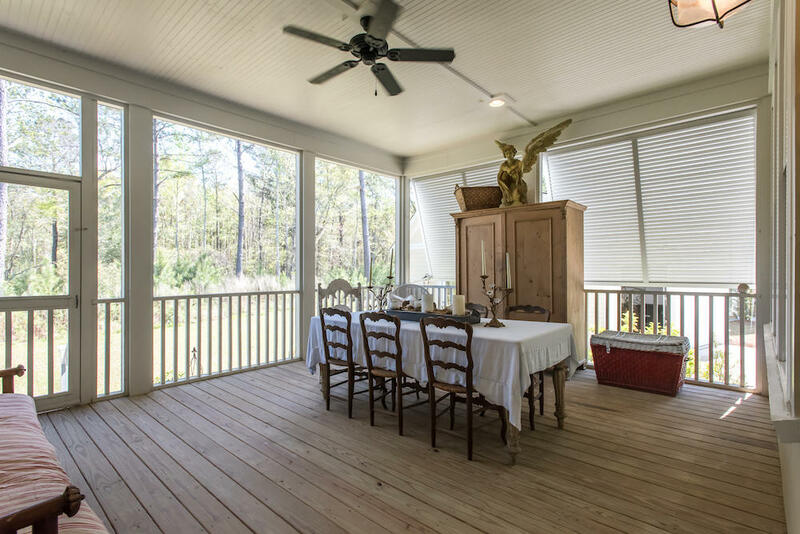 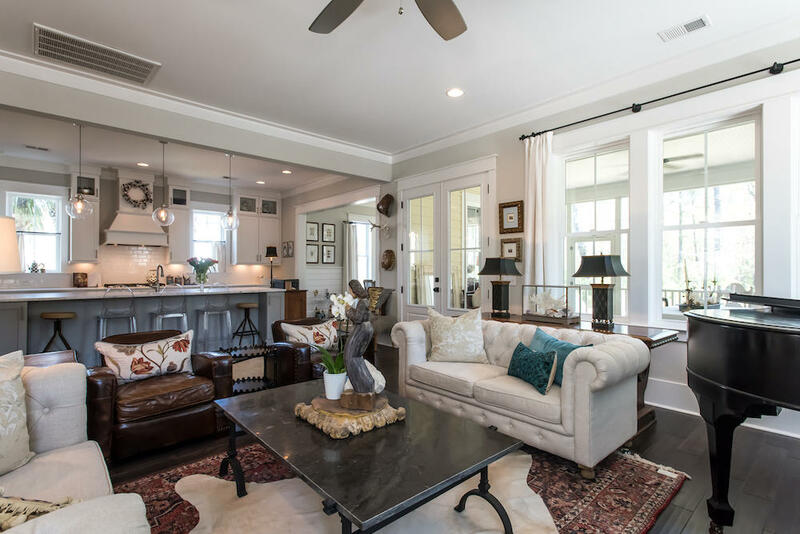 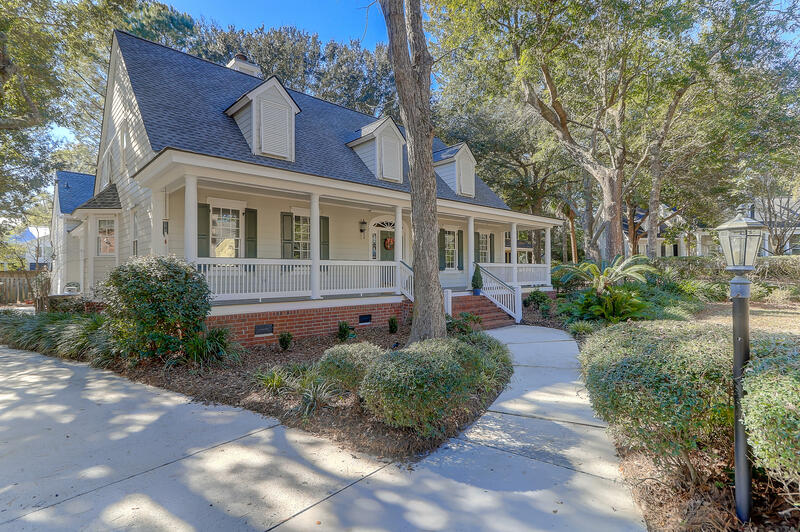 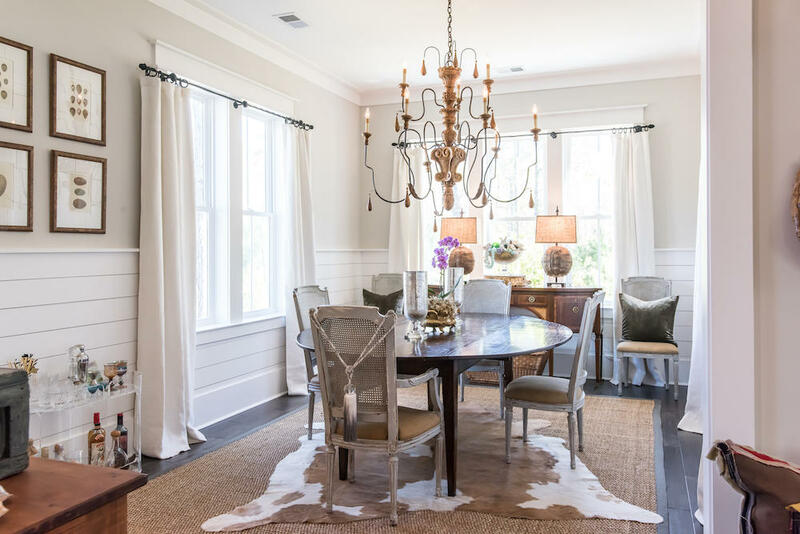 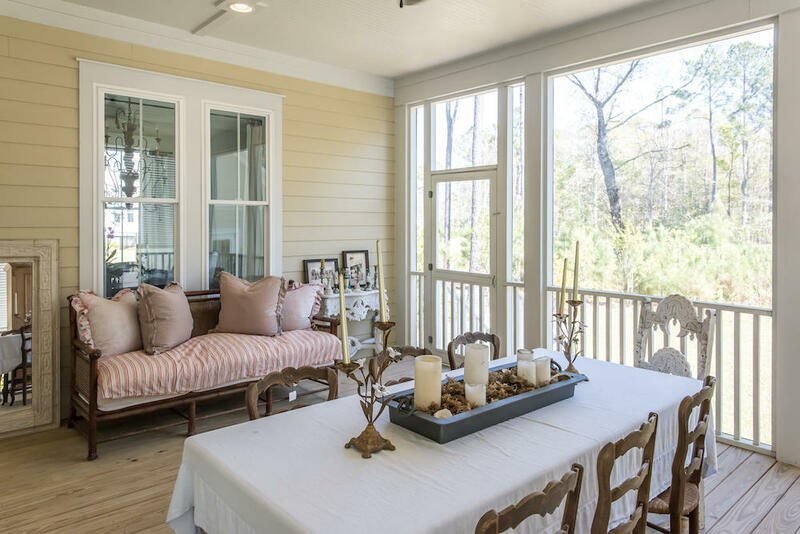 This room is open to the gourmet kitchen and dining area and has French doors leading out onto the huge screened-in porch, the perfect place to entertain friends and family and enjoy our nearly perfect year-round weather. 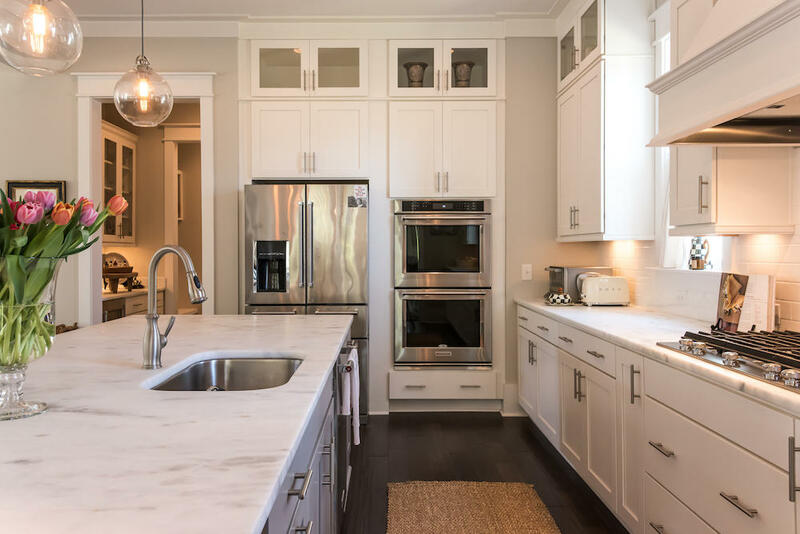 The stunning kitchen is equipped with high-end KitchenAid appliances, including a double oven and 5 burner gas cooktop. 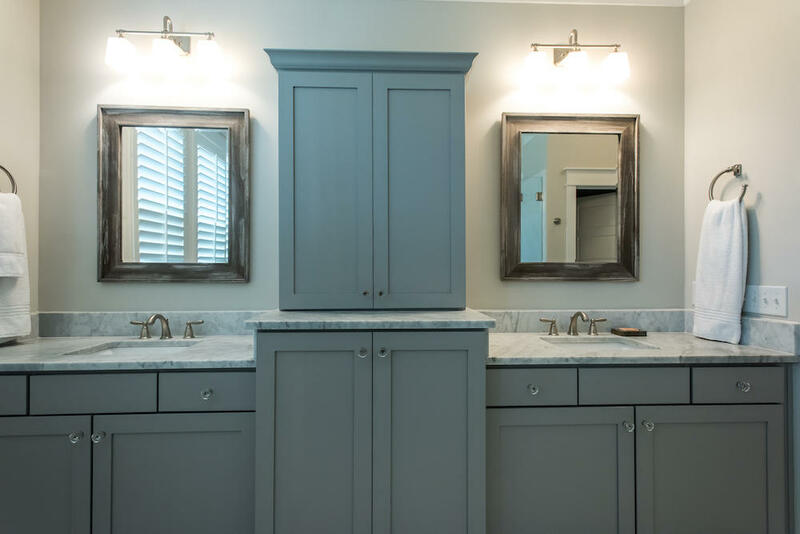 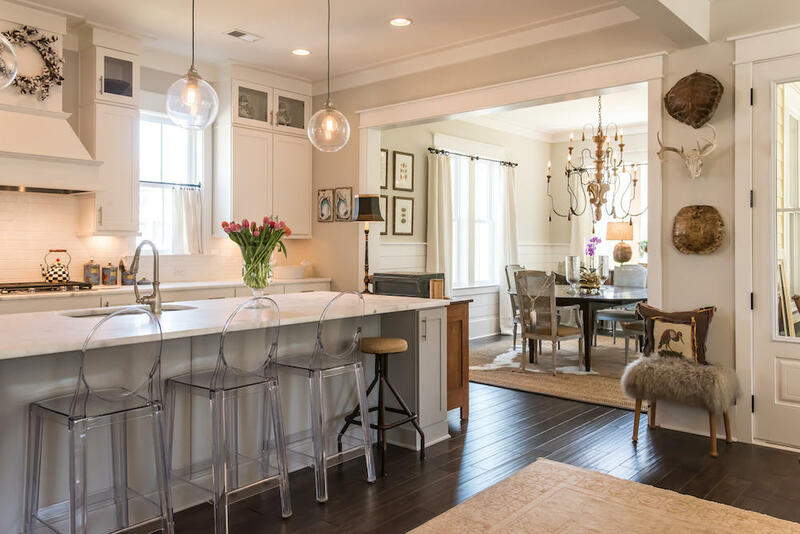 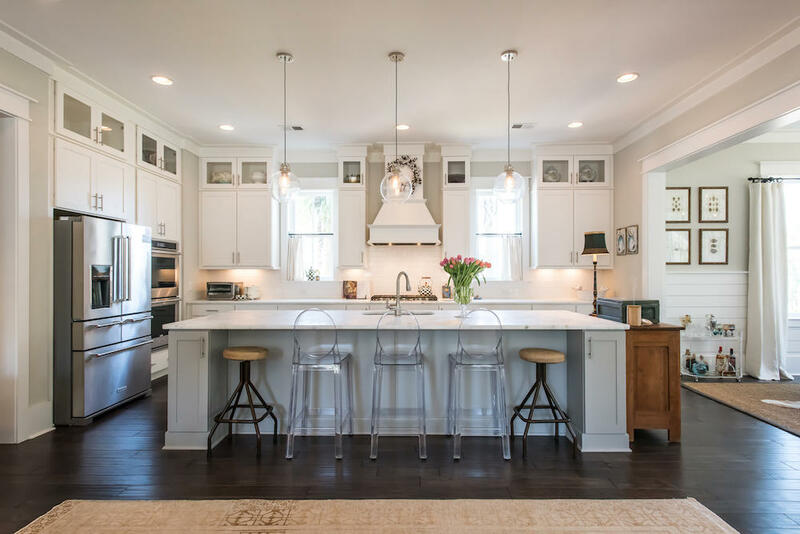 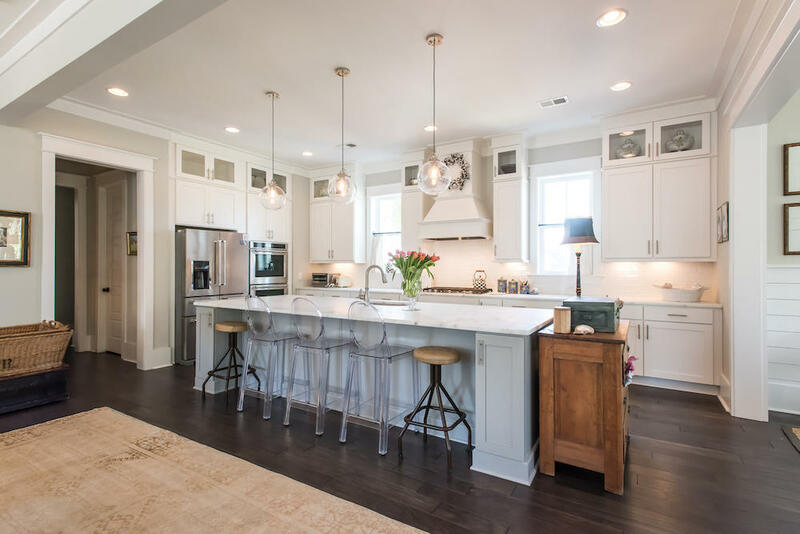 Also featured are beautiful custom cabinets that stretch to the ceiling with under cabinet lighting, soft close doors and drawers, quartzite Shadowstorm countertops, tile backsplash, recessed lighting, and a walk-in pantry. 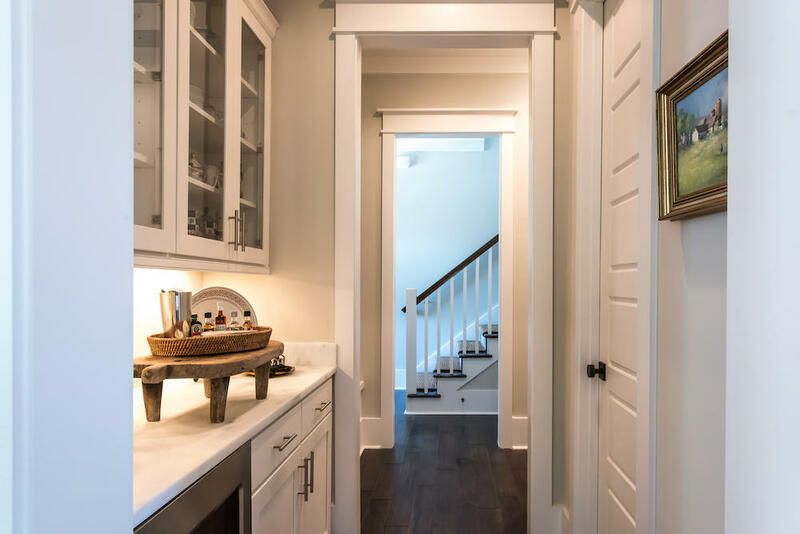 Off the kitchen is a butler's pantry with beverage refrigerator and extra storage. 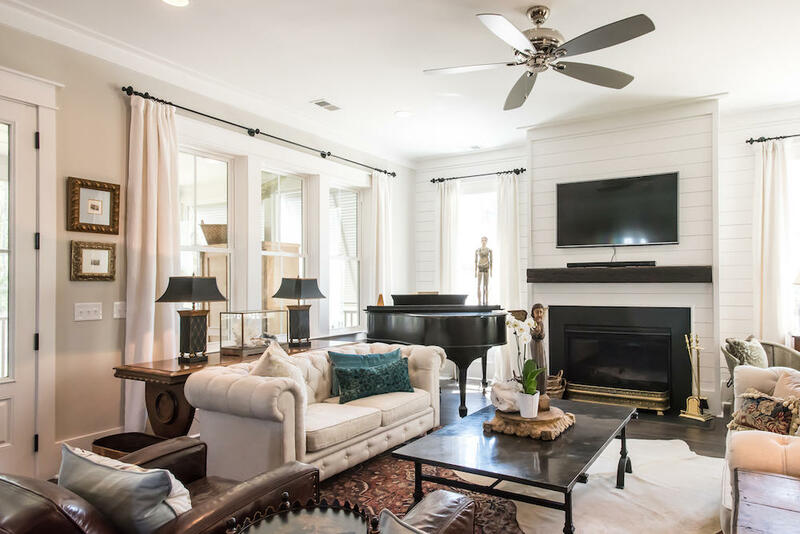 The current owner spared no expense in upgrading all of the hardware and lighting throughout the home. 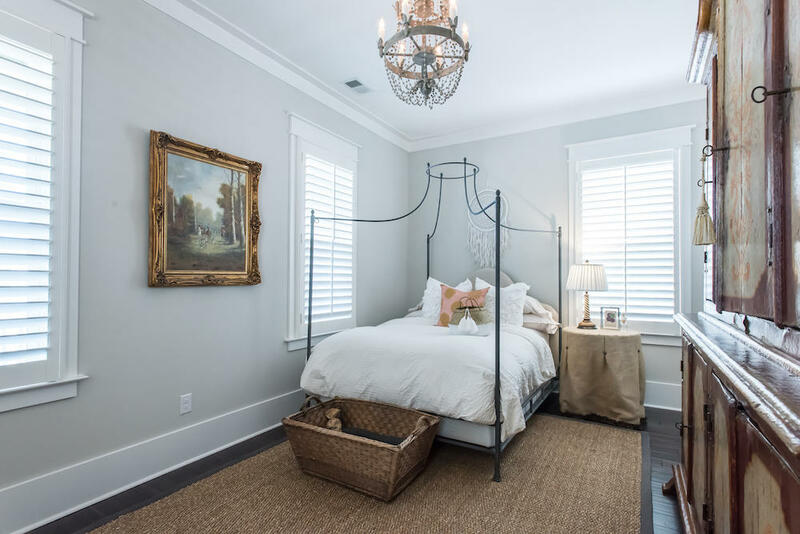 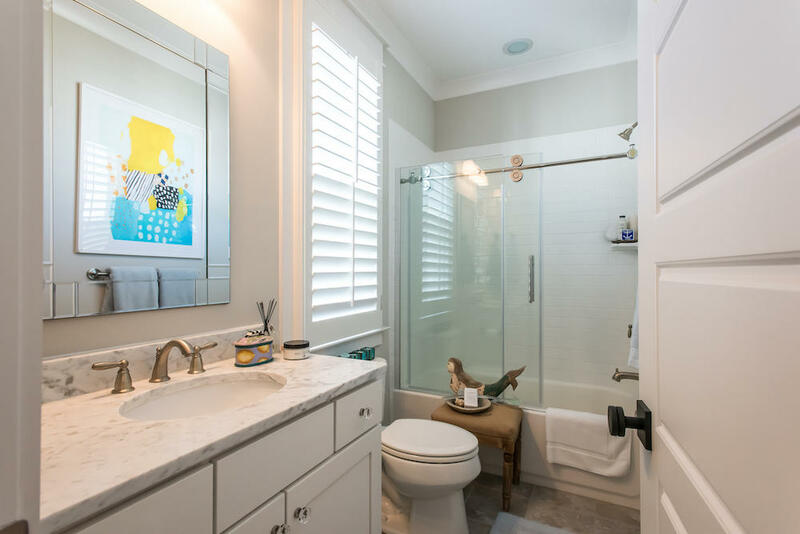 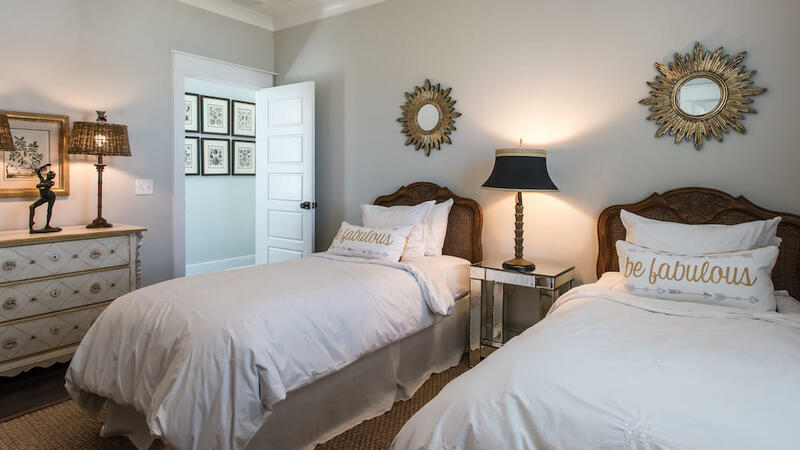 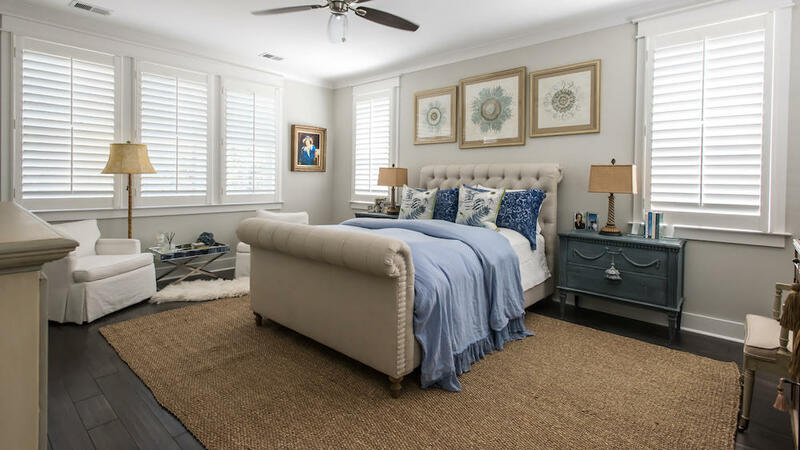 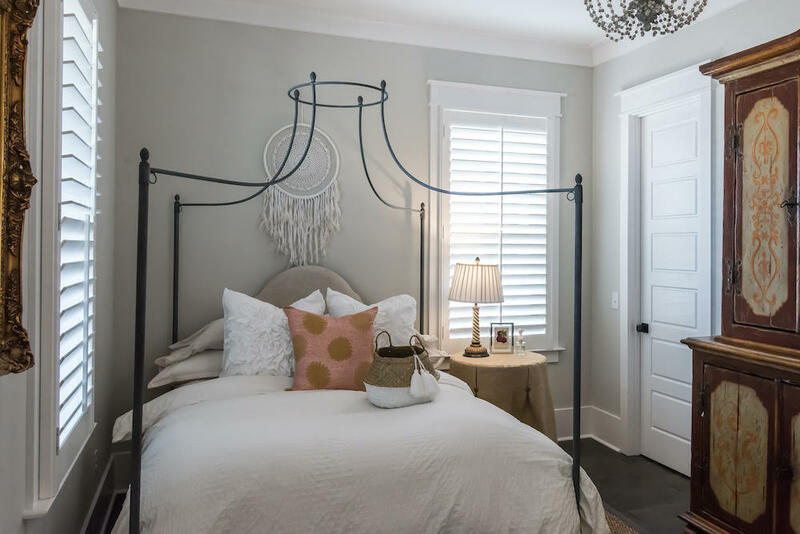 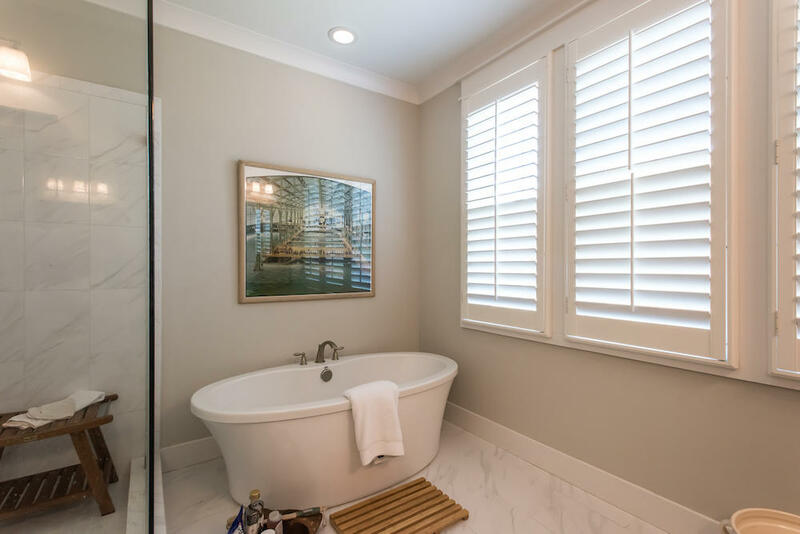 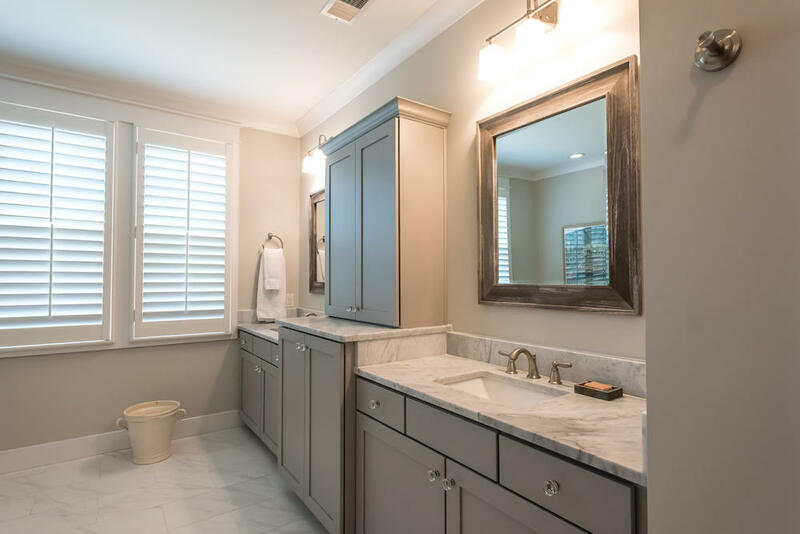 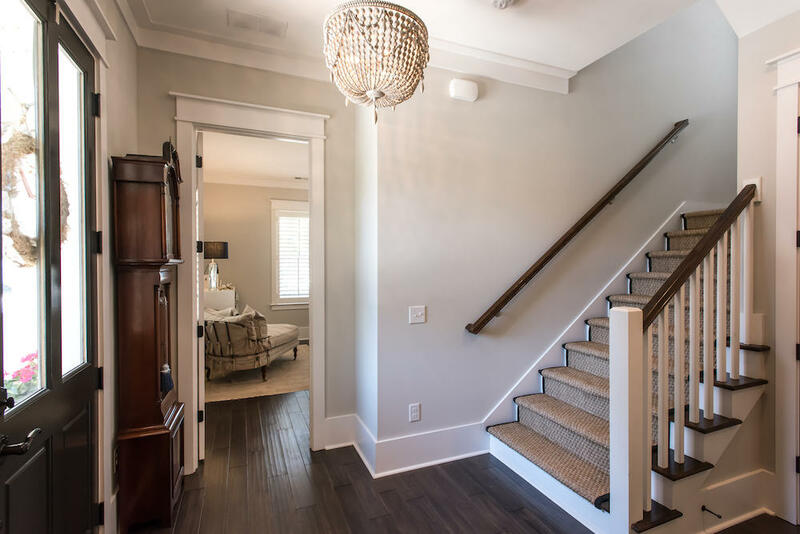 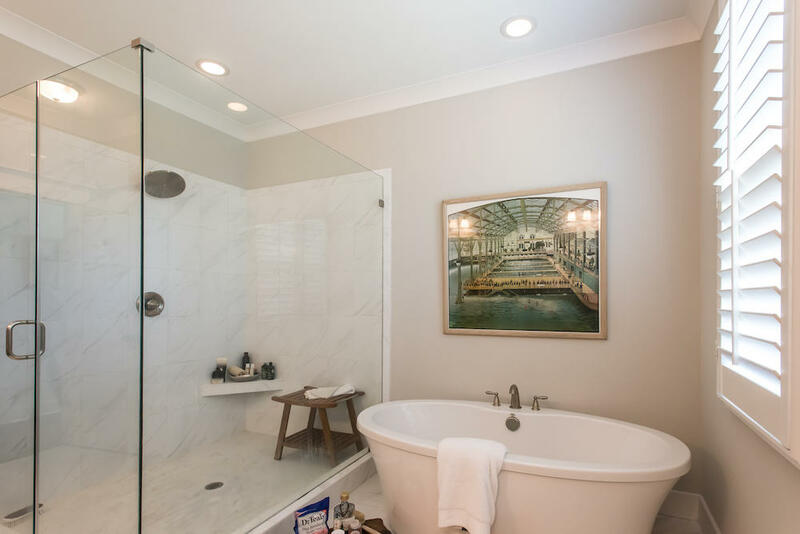 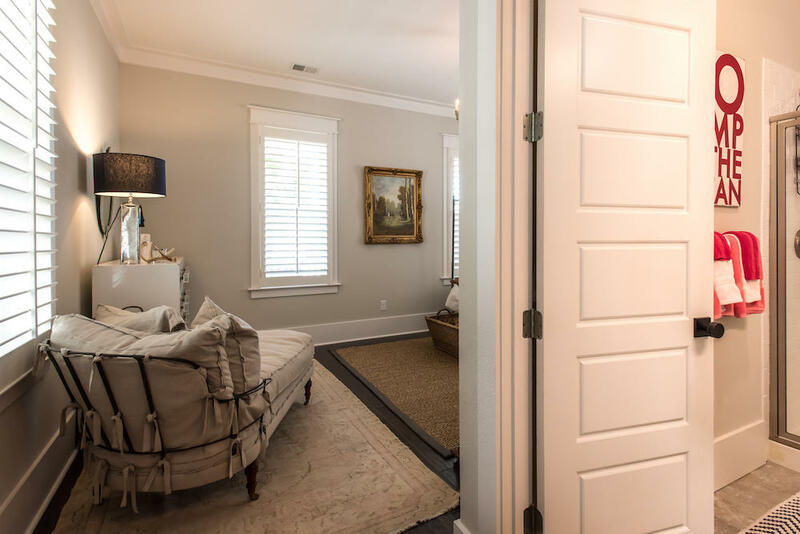 Upstairs, the spacious owner's suite features hardwood floors, two huge walk-in closets, and a fabulous master bath which includes Moen faucets, a freestanding oval bath tub, double vanities with a honed Carrara marble top, and an enormous walk-in shower with a frameless glass door. 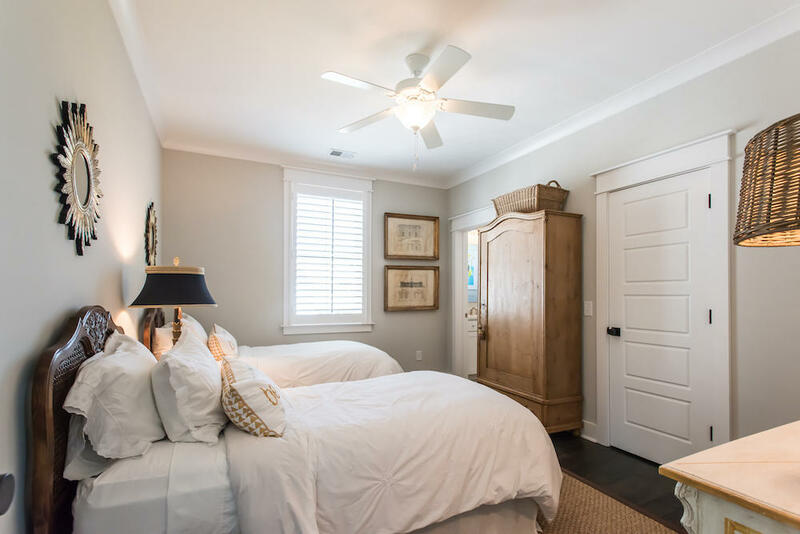 The other two bedrooms on this floor each have a walk-in closet and their own private bathroom with beautifully designed rolling glass doors. 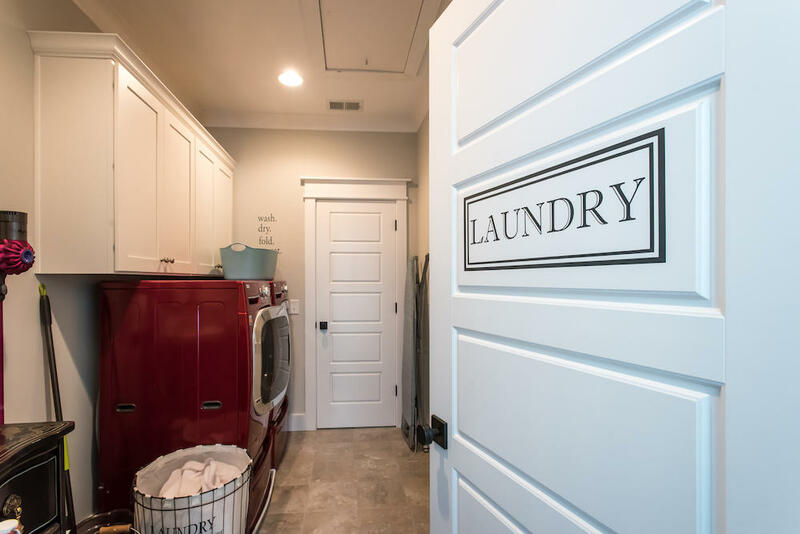 The laundry room is conveniently located off the hallway and adjacent to the master bedroom and includes upper cabinets for your convenience. 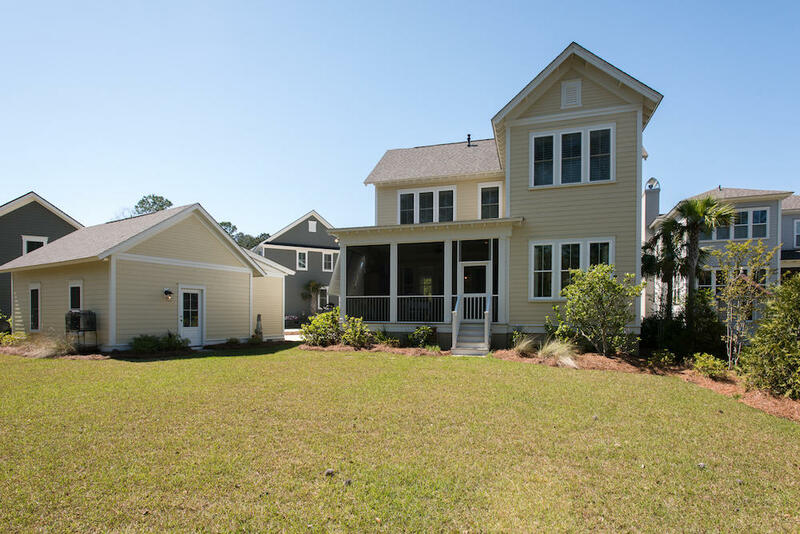 Among the many other features of this home is a detached two-car garage, low-maintenance exterior cement siding, Rinnai tankless water heater, 6" thick exterior walls with R-19 insulation: R-30 insulation in attic, Anderson DP 50-rated Low-E double hung insulated glass windows with screens, Carrier 14 Seer natural gas central heating with heat pump with programmable thermostats and tons of storage including in main house attic and over detached garage. 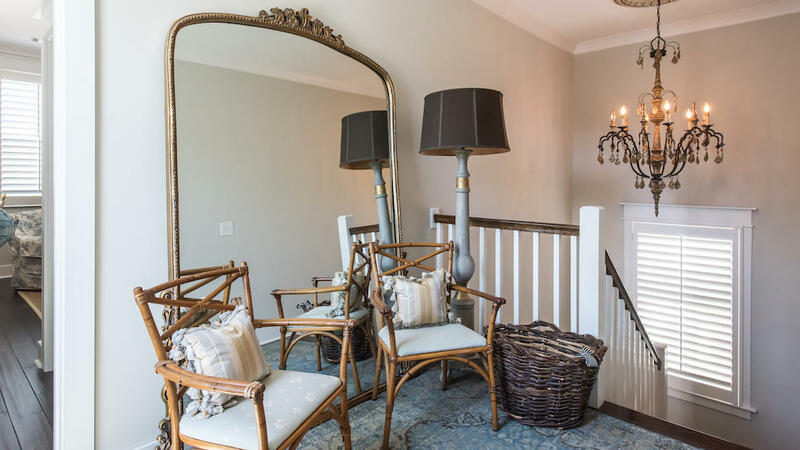 First floor draperies and drapery rods do not convey with sale. 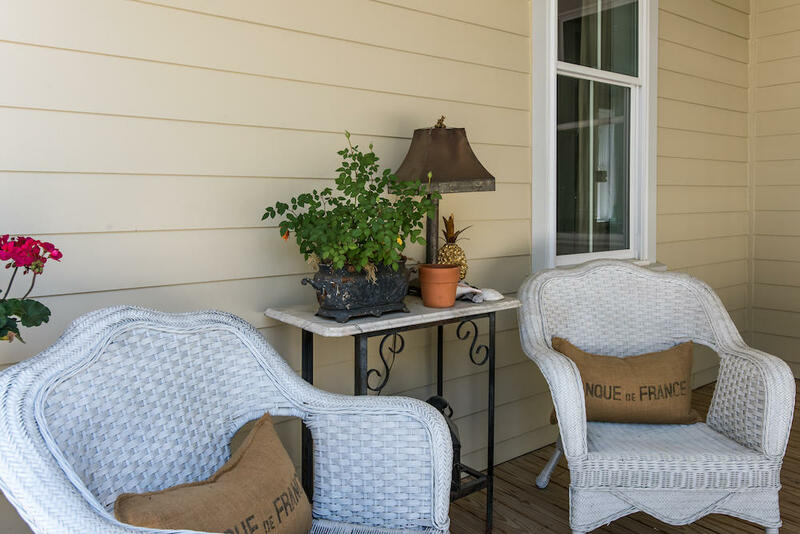 Window boxes do not convey. 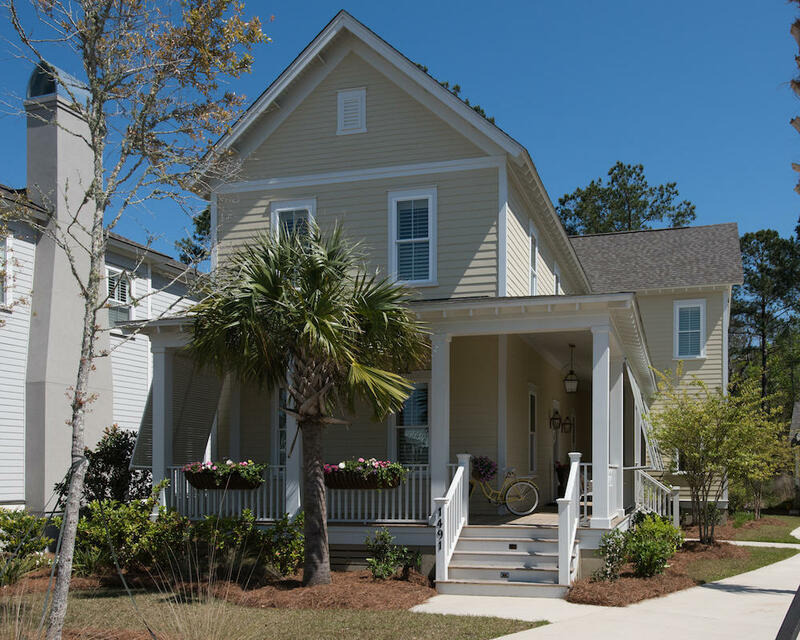 Buyer pays working capital contribution of .25% of sales price at closing per CCRBR.